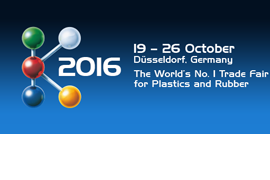 K 2016 (Düsseldorf, Germany October 19th – 26th, 2016), the World’s No. 1 trade fair for plastic and rubber, is going on stage! Visit Pasquato’s booth at Hall 3 / A53. We will exhibit two high-speed precision sheeter and one slitter rewinder. Are you interested in talking with us about a quotation at the show? Please, fill out this questionnaire and we will provide you a detailed quotation. Contact us to fix a meeting at K2106. Previous COME TO VISIT US AT DRUPA 2016!